In this recording, Dr Leonie Pihama, Dr Jillian Tipene and Herearoha Skipper of the Te Kotahi Research Institute present the 2014 research Ngā Hua a Tāne Rore The Benefits of Kapa Haka describing the rich contribution that kapa haka makes to health, wealth and social cohesion in Aotearoa New Zealand. They are joined by Carl Ross, CE of Te Matatini and Ripeka Evans, Manatū Taonga – Ministry for Culture and Heritage for a discussion about the research agenda for kapa haka in Aotearoa/New Zealand. Manatū Taonga – The Ministry of Culture and Heritage Te Matatini Kapa Haka Aotearoa published Ngā Hua a Tāne Rore The Benefits of Kapa Haka in 2014 to develop a programme of potential research that will enable a better understanding of the contribution Kapa Haka makes to NZ Society. Associate Professor Leonie Pihama is a mother of six and a grandmother of three. 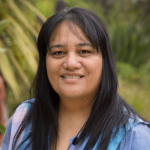 Leonie is Director of Te Kotahi Research Institute at the University of Waikato, and Director of Māori and Indigenous Analysis Ltd, a Kaupapa Māori research company. She has worked as an Associate Professor in Education at the University of Auckland teaching in the fields of policy analysis, Māori women’s issues, and the politics of representation of indigenous peoples. 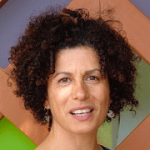 Leonie is a leading kaupapa Māori educator and researcher. She has been working in the intersecting fields of education, health, whānau wellbeing and Māori immersion education for a number of decades. 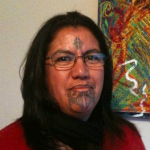 Jillian Tipene (Te Rarawa, Ngāti Kahu) is a mother and researcher. She currently works as a project leader/researcher at Te Whāriki Takapou, a Kaupapa Māori sexual and reproductive health organisation. Herearoha Skipper has recently been appointed as the Research Manager at Te Kotahi Research Institute at the University of Waikato and is Co-Director of Te Ara Tupu Ltd, a consultancy company.